Monday through Sunday. 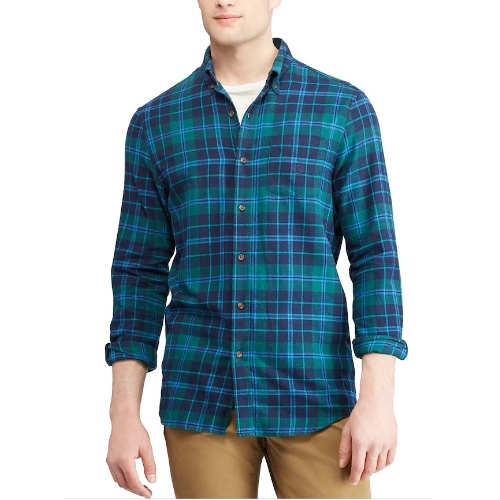 The pattern and traditional cut of this men's Chaps flannel button-down shirt are the keys to its versatility. Moisture-wicking. Flannel fabric for wear in cooler conditions. Box-pleated back yoke. Buttoned barrel cuffs. Button-down collar. Button front. 1-pocket. Cotton. Machine wash. Imported.